This is a Photo-manip banner. NOT In-Game! 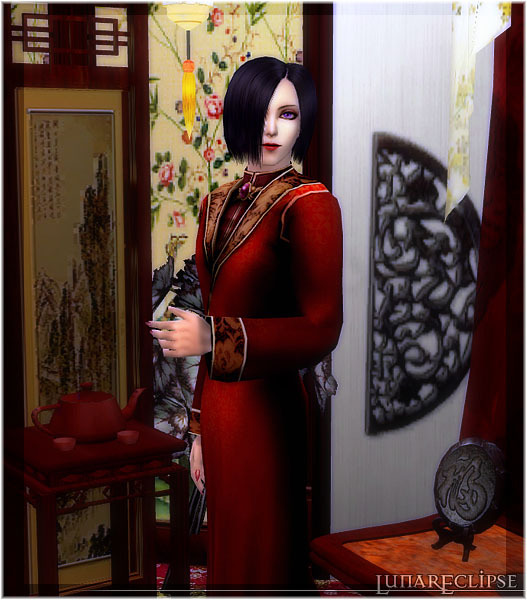 Okay, I know I already made a Count D sim... but it was so long ago and I was still pretty new at meshing (My old version was my first clothing Mesh attempt actually). So I wanted to make an entirely new version. This new sim shares no content with the old one and is totally remade. I was thinking of removing the old one from MTS2, but I think some people may still want some of the content he comes with, so I'll leave him for now. 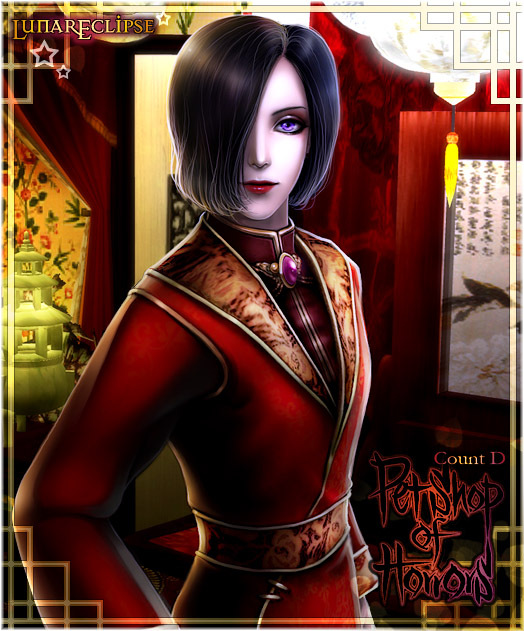 Anyway, for those not familiar with this D, he is the main character from the manga "Pet Shop of Horrors" created by the talented Matsuri Akino. (It's my favourite manga ever! :p). D runs a mysterious Pet Shop located in the Chinatown of New York, selling strange, exotic, and often deadly pets to his customers. He claims he sells Love, hope and dreams in the form of animals. Just don't break the contract provided with each sale... or the Count is not liable for any misfortunate accidents. Yes, back to the usual MS3D facial adjustments. Want to try all this excessive work for yourself? All genetics and make-up textures are mine. SADLY... I was unable to create D with two different coloured eyes. Originally he has one gold eye and one violet. But because maxis mapped both eyes to the same area, I was unable to get two different colours on the same model. All overlays, including makeup use the same mapping. I considered creating an accessory, but eye accessories look odd because they do not follow the facial morphs. I even went as far as duplicating his face as an accessory so that the morphs would remain and then making the face transparent except for the eyes, then pulling one eye back so that only one side would overlay. This took a day and was a giant sack of FAIL! I'd be eternally grateful if anyone could offer advice in a comment or something. On a way to create an eye accessory overlay that will follow facial morphs. (Although I'm thinking that's not possible at this point). Anyways, because of this, both of D's eyes are purple. But I guess that works out okay. This hair was a sacrifice! It's not as super smooth as it could have been because I tried to reduce the polygons as much as possible so more people could run it. The textures are also smaller than my usual hair meshes. Although, I think this hair has the nicest animations of all my hair so far. -Family Linked for more colours coming later (As you can see in the preview). 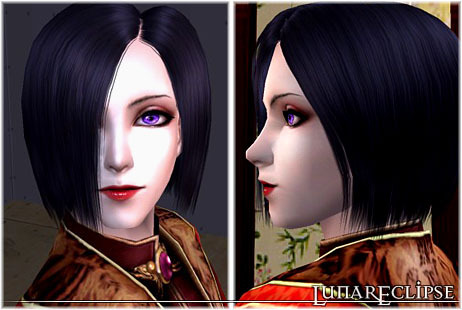 For the female version of the "Dark Desires" hair, you'll need to grab the extra rar file! But the mesh itself is bundled with the Count D sim. The hair meshes and textures are my own. Textures digitally painted via photoshop. New mesh with new textures that are mine + a bit of maxis (recognise the flower patterns from a maxis female formal dress?). Also has some very nice bumpmaps. The jewel on his robe is not an accessory and part of the outfit. But it is fully modeled and contains it's own texture and reflectivity so I though a closer shot would be appropriate. I did create Count D's earrings, although they are not really noticeable with his hairstyle. They are just simple round studs and nothing super special. I did make them available for all ages and all genders though. Personally I've never seen regular little stud earrings for download.. which is surprising because earring like this are pretty common... I know I own a few pairs.. I only made red so far, but feel free to make recolours if you want. I also made Count D's nails. The texture and alpha is mine, but the mesh is not! For the nails to show up in your game, you'll need to grab shadylady482's Nail mesh found here: New Nail Polish Mesh for LONG Nails + 12 Recolors. 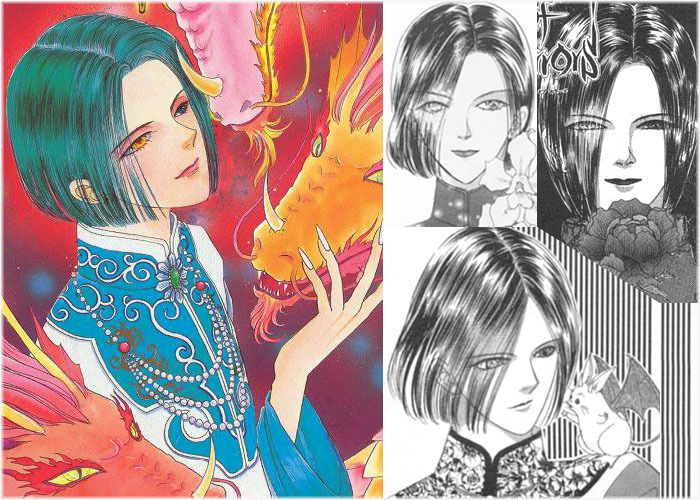 Some pictures of D from the Manga. His official hair colour is black, but Akino often changes the highlight colour of his hair when she paints him... usually to green, blue, or purple. I think it's mainly for aesthetic purposes and to unify composition. (Or maybe simply because it looks cool). 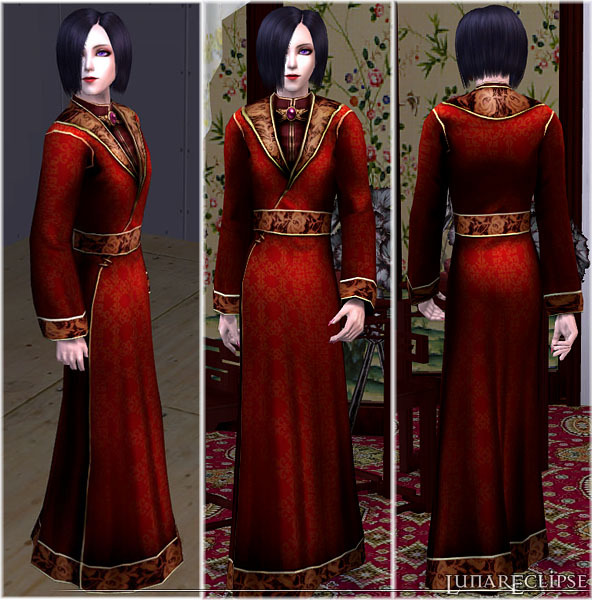 All mesh files are included in the main rar with Count D.
Double click the sims2pack to install, then put all remaining files into your downloads folder! For the female hair if you want it, download the additional Fhair package. You still need the mesh in the rar with Count D however. Count D SHOULD work in base game! I made all files originally from base game package files only. Hopefully there are no issues. I have OFB installed, but nothing later. And again, REMEMBER to grab shadylady482's Nail mesh found here: New Nail Polish Mesh for LONG Nails + 12 Recolors. *Ignore the BV file if you do not own the "Bon Voyage" expansion pack! I have taken the time to bin the earrings for the BV expansion pack. -Install Count D and all other files first! -Afterwards, extract the "BVversion" earrings found in the extra rar on this page. -Override the old file in your downloads folder with the new BV ones. *The earrings should both appear in the "Right side earring" jewelry area. I did not bin the nails, as I believe people had some trouble with my previous custom binned accessories that were not categorized as a jewelery type. The nails will remain available in the glasses area. Sorry for the inconvenience.. but it's hard to test something that requires an EP I do not own. 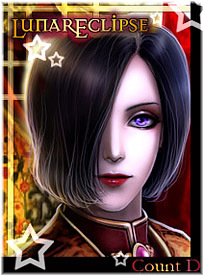 Count D is a character created by Matsuri Akino. Lunar Eclipse holds no rights to "Pet Shop of Horrors" or the character "Count D" or any associated affiliates. The Simple Stud Earrings are available seperately and in different colours on my website. My Website is finally up.. yay! Kayla-new sim beauty for your game! Please Redownload! Ava's Nails - 42 Recolors of Shadylady482's Long Nail Mesh _Now with Thumbnails! These recolours may or may not be endorsed by Lunar Eclipse.